A weekly newspaper has accused a council of putting local democracy “at risk” after the authority decided to stop publishing statutory notices in it. The Hexham Courant claims Northumberland County Council is keeping its readers “in the dark” after withdrawing advertising from the CN Group-owned title, based in the south of the county. Instead, such notices are instead being placed in the Johnston Press-owned Northumberland Gazette, which is based more than 40 miles away in Alnwick. In a piece on the changes, the Courant says the Gazette has a “negligible readership” in its core circulation area, and that no public notices have been placed by the county council in its editions since 9 December. 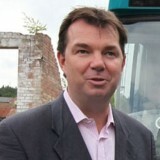 Hexham’s MP Guy Opperman, pictured above left, told the Courant: “I am very concerned by this shocking revelation. The county council must be transparent and accountable. I would remind the council’s leadership they are public servants, and as such accountable to the public. “Local newspapers have a duty to inform people of what is happening in our government, in our local councils, in our schools, and on our streets. The council says the policy had been adopted on a trial basis to cut costs and maximise administrative efficiencies, and that free copies of the Northumberland Gazette would, in future, be left in two prominent locations in Hexham. e’s website, satisfied legal requirements. He added: “While the authority has sought to make use of new and innovative ways of increasing its revenue base, which has attracted much criticism in recent times, the majority of which is unreasonable and unfounded in my opinion, there is still the need to consider what it can do to minimise spend wherever possible while at the same time acting wholly within the confines of prevailing legislation. HTFP has approached the Northumberland Gazette for a comment. I’d say local democracy was more at risk from newspapers not sending reporters regularly to council meetings. My district council has a redundant press bench. Don’t agree there, paperboy, the issue of newspaper staffing is a suely a separate matter entirely? No, the question here is why have this authority mysteriously chosen to withdraw statutory job notices from the Courant and place them in a rival publication 40 miles away, well away from the gaze of local readers? This is an identical situation to the running battle which arose in south Wales a few years back when Carmarthenshire County Council pulled ads from the South Wales Guardian simply because they objected to articles critical of the local authority. A fight – by all accounts – that staff on the small Newsquest weekly had to undertake on their own with zero support from fellow publications – or from their own senior editorial executives, come to that. Isn’t this just sour grapes? With freedom of choice and new competitors emerging who offer a truly local service coming in and stealing the market it’s just left to the greedy publishers to play the violin and bemoan local councils with the old ‘local democracy at risk’ excuse. Regional press have always charged an absolute fortune for public notices. I don’t blame them for switching to a more cost effective publisher. Thinking outside the box would be to offer to publish them for free? A busy paper is the best chance for more readership? With newspapers selling so few papers now, public notices are a waste of money. As a council tax payer, I’d be more than happy for my council to pull the plug on them. Should we assume that because the paper is so worried about readers being ‘left in the dark’ that it has offered to print the council’s notices for free? Happy to be proven wrong but it seems a simple case of an advertiser choosing to put its notices in the paper which offers it the best deal. I imagine most taxpayers are thankful for that. The Courant gravy train just got derailed. Hiding behind readers doesn’t fool anyone in the know (and in this case, on the council). Cut the advertising rates to the level of your rivals and you may get the advertising back. And stop bleating. Yet another publisher carping on about the unfairness of a local council choosing to advertise Public Notices in any medium other than theirs. When so many local newspaper offices are closing and moving out of the towns they claim to serve ( or is that just in norfolk?) they can hardly whine on when an advertiser decides there are better,cheaper and more effective publications to annolunce these items. As has been said previously had prices been fair and councils not been ripped off for years with excessive PN rates,even in a declining copy sale market,many would probbaly have chosen to support the paper. Surely there’s a story here – why has the local council been squandering taxpayers’ money on an overpriced service for so long? The Courant should work out exactly how much has been wasted over the years and enlighten their readership. Karl. it is a related issue about “democracy”. As previously stated on HTFP some papers are selling 10 per cent of the total they once sold in the 80s and 90s. So not advertising in them is not much of a loss to democracy now, is it? If democracy and letting the people know wete the real reasons do many publishers are concerned about the loss of public notices they should put their money where their mouths are and publish them all for free. I can see no counter argument to the contrary other than the councils themselves might feel the paper in question does not have enough readers or reach sufficient numbers or reach to be effective, that’s the real crux of the matter. I’m sorry but this is just a council trying to save the taxpayer some money. No-one ever read those public notices. These days if a council wants to tell anyone anything it’s far easier to do it on Facebook or via press release to a local media so desperate for copy it’ll stick anything in. That’s not a criticism of the individual paper, by the way, just an observation about the industry as a whole. The regional press milked this cash cow for all it was worth for years and years. Commercial entities are not owed a living by the taxpayer.